Penny Anderson Associates Ltd. (PAA) has established a renowned reputation in habitat restoration and creation schemes. This is a ‘bottom-up’ process whereby soils must first be appropriate for the target habitat. For example, arable land may have unacceptably high levels of nutrients from fertiliser applications or coniferous plantations may have developed high soil acidity. In each case, remedial steps may be needed to condition the soil prior to planting. Soil analysis and condition assessment is an essential precursor to habitat restoration and this is undertaken by in-house soil specialists and ecologists. There is no specific planning control on the management of the soil resources on construction sites but the impact on soil is an integral part of the environmental assessment process. Good planning in soil management in construction can prevent soil damage and costly waste generation. Soil needs protecting from earthworks and to be stored properly so it can be reused and PAA can provide expert advice on soil handling and soil resource planning. Providing soil description, classification and analysis. Soil is a vulnerable and finite resource; the product of hundreds of years of development. It fulfils a number of important functions and services that are central to social, economic and environmental sustainability. It is essential for food production and supports ecological habitats and biodiversity as well as providing the basis for greenspace, including playing fields, gardens and public open space. The quality of the soil resource is threatened by a range of activities. For example, poor farming practices can exhaust the soil of essential nutrients and accelerate soil erosion; industrial pollution and inadequate waste control can lead to soil contamination; construction activity can have a significant adverse impact through accidental chemical spillage, soil compaction by heavy machinery and the mixing of topsoil with subsoil. 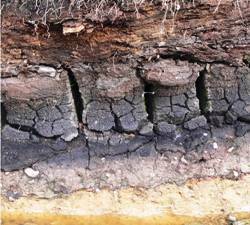 We have many years’ experience of working with soils to ensure this valuable resource is protected. 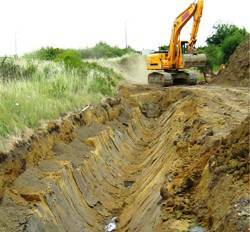 This includes construction works and in habitat restoration and creation schemes.